New date for the publication of the annual report. Information about the ongoing exercise period for TO3. Correction: Additional information on the directed share issue. Additional information on the directed share issue. 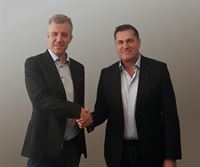 On April 10, the company announced that two proposed board members are investing SEK 9.6 million through a directed share issue. The company has received the payment. The price per share was set at SEK 7.64 in accordance with the communicated terms. The number of new shares issued to the proposed board members is 1,217,556 and the total number of shares after the transaction amounts to 79,200,564. For further information, please contact: Truls Sjöstedt, CEOPhone: +46 709 73 46 00E-mail: truls.sjostedt@brighter.se Ann Zetterberg, CFOPhone: +46 708 37 21 23E-mail: ann. The exercise period of TO3 starts today. Brighter no longer has observation status. 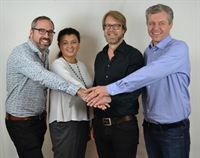 New board members invest SEK 9.6 million in Brighter through a directed share issue. Change in Management and Board of Directors. Official notification of the annual general meeting. Brighter has been granted a patent for AI-powered monitoring of medical devices. Brighter receives 10 MSEK from directed share issue. The pricing period in the second of the two directed new issues of SEK 10 million each, announced on March 4, 2019, is over. Brighter has received SEK 10 million. The price per share was set at SEK 7.86 in accordance with the communicated terms. The number of new shares issued to the investor Knight Capital Limited is 1,272,264 and the total number of shares after the transaction amounts to 77,781,396. For further information, please contact: Truls Sjöstedt, CEOPhone: +46 709 73 46 00E-mail: truls.sjostedt@brighter.se Ann Zetterberg, CFOPhone: +46 708 37 21 23E-mail: ann. Brighter has launched a pilot project for increased well-being among young diabetics. Brighter has been nominated to the Swecare Rising Star Award 2019. Brighter’s COO holds webcasted presentation on Aktiedagen Stockholm. Brighter receives SEK 2,6M through exercise of warrants. 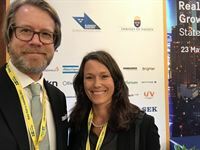 Brighter’s Actiste part of Swedish HealthTech project. Information about the ongoing exercise period for TO4. Brighter carries out a directed share issue of up to SEK 20 million. Correction: Information from Brighter’s management. Brighter's management hereby informs that it has received information from Nasdaq that they have made an observation listing. The reason stated is that Nasdaq believes that Brighter does not meet Nasdaq's requirements for working capital for three months. Brighter does not share Nasdaq's opinion and will during the next few days conduct a dialogue with Nasdaq in this matter. For the sake of clarity, we quote Brighter's statement in the year-end report published on Wednesday, February 27 regarding the company's financial prerequisites. The full Interim report is available on Brighter's website https://brighter.se. The Interim report is also attached as a pdf file to this press release. October - December 2018. · Capitalized expenditure for development work reached SEK 11,075 thousand (12,390) · Operating income amounted to SEK 11,292 thousand (13,827) · Operating result amounted to SEK -10,843 thousand (-8,175) · Result before tax amounted to SEK -13,141 thousand (-9,514). · Earnings per share, before dilution amounted to SEK -0.17 (-0.13). · Earnings per share after dilution SEK -0.17 (SEK -0.13).